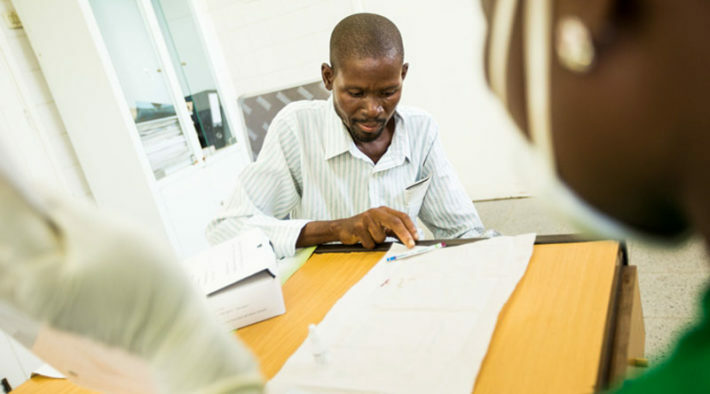 Integrating point-of-care diagnostics into national HIV programmes. The timely diagnosis of HIV in infants born to HIV-positive mothers, and regular monitoring of viral load levels in people receiving HIV treatment, remains a challenge in low-income countries. The project aims to expand access to innovative point-of-care technologies for early infant diagnosis of HIV and viral load monitoring of HIV. The grant is implemented in ten countries: Cameroon, Democratic Republic of Congo, Ethiopia, Kenya, Malawi, Mozambique, Senegal, Tanzania, Uganda and Zimbabwe. Through the project, CHAI and UNICEF are also seeking to optimize existing laboratory networks and to create a healthy market for point-of-care diagnostic products. 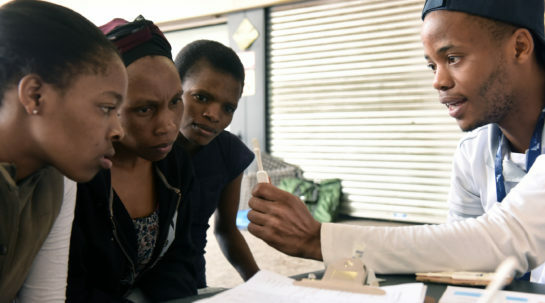 Two key studies in Malawi and Mozambique demonstrate that the use of point-of-care, early-infant diagnostics significantly improves retention in care and increases the rates of HIV treatment initiation. The grant uses point-of-care testing to demonstrate the added value of starting patients earlier on antiretroviral therapy (ART). Patients who do not adhere well to their treatment regimens, or patients who need more effective drugs, can be tested at the point of care, and switched to new regimens if needed. It is estimated that, with point-of-care technologies, 16,000 infants’ lives can be saved and efficiencies of more than US $200 million can be generated in 10 target countries over five years after the end of the grant. In 2017, UNAIDS estimated 3,300 children under the age of 15 years died from AIDS-related causes in Cameroon. A key challenge is diagnosing and treating infants early in life. Now a new point-of-care device, which provides results within minutes of testing, has overcome some major obstacles to treatment, giving hope to thousands of mothers and their families. After losing her husband to an AIDS-related illness, a mother in Cameroon is determined to keep her children healthy and HIV-negative. © World Health Organization. All rights reserved 2019. Unitaid is a hosted partnership of the World Health Organization.